One of my absolute favorite things about the nice weather in Spring and Summer is having a Picnic! There is just something about firing up the grill, cooking up dinner, adding a couple side dishes and enjoying a relaxing evening catching up on the days events with the family, that create memories. 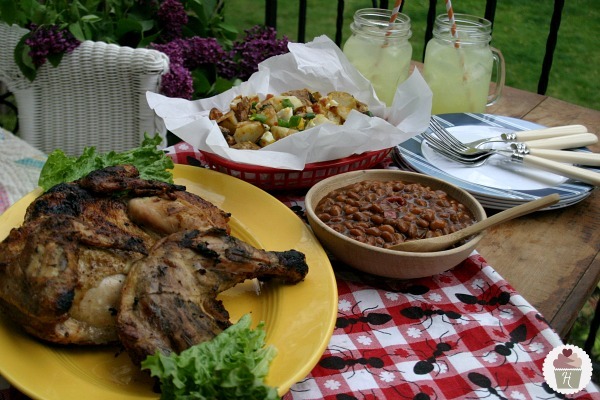 Last weekend was the perfect opportunity for some family time, while we enjoyed Grilled Butterflied Chicken with Smokehouse Tradition Beans and Grilled Potato Salad. Over the years I have served baked beans…many and many times. You know the kind…empty the can into the pot and add a bunch of brown sugar, ketchup and maybe mustard. The kind my Mom used to serve! Well…not anymore my friends…there’s a new kid on the block and he’s pretty amazing!! Bush’s Beans are serving up their new Grillin’ Beans and we had the opportunity to give them a try! In fact…we will be sharing recipes with you over the next few months that are a perfect match with Bush’s Grillin’ Beans! There are seven new Bush’s Grillin’ Beans…Black Bean Fiesta, Sweet Mesquite, Southern Pit Barbecue, Bourbon and Brown Sugar, Steakhouse Recipe, Texas Ranchero and the Smokehouse Tradition that we served with the Grilled Butterflied Chicken and Grilled Potato Salad. 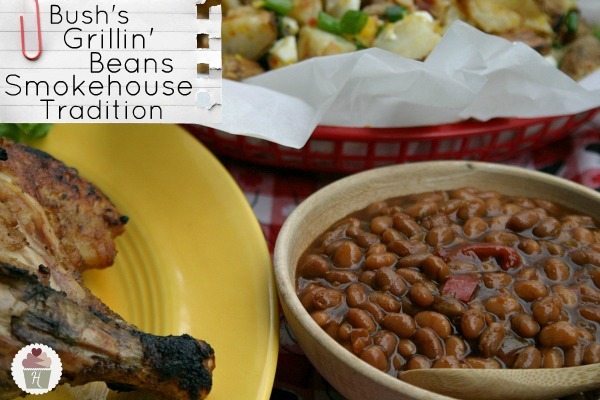 We love beans and these Smokehouse Tradition Grillin’ Beans were definitely a hit! They are tender beans simmered in a sweet and smoky sauce, with a bold flavor that I’m sure you will love too! Grilling a whole chicken can sometimes be intimidating, but it’s actually not difficult at all and the flavors are amazing. First you will need to butterfly the chicken, Doug shows you the step-by-step process and how to prepare your chicken for the grill. 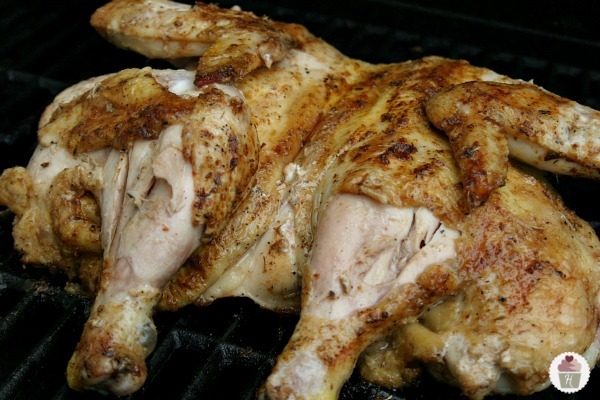 Cooking a whole butterflied chicken on the grill, not only speeds up the amount of grilling time, it also adds a lot of flavor because you can season the bird on the inside as well as out. 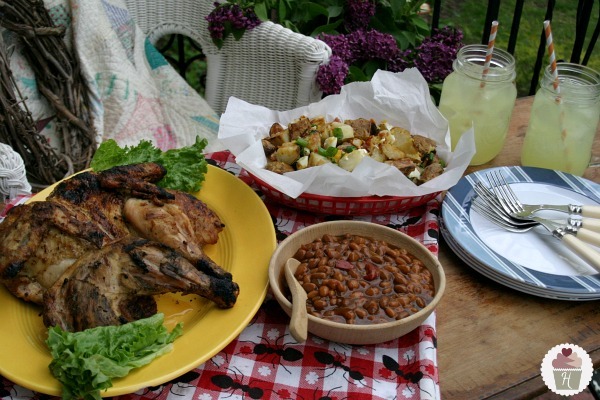 Serve with Bush's Grillin' Beans and Grilled Potato Salad for a delicious meal. 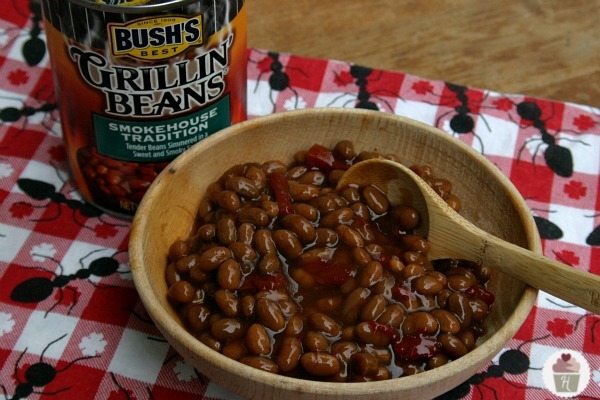 Visit Bush’s Beans for helpful grilling tips, new bold recipes, meal ideas. Follow them on Facebook and Twitter too! And for the recipe contest lovers…don’t miss out on the Bush’s Beans Recipe Contest for your chance to win a trip to “The Ranch”…you know…Pioneer Woman’s place! Disclosure: I am working in partnership with the Bush’s Beans brand and I am receiving compensation for my participation in this campaign. As always, my opinions, photography and recipe are my own.